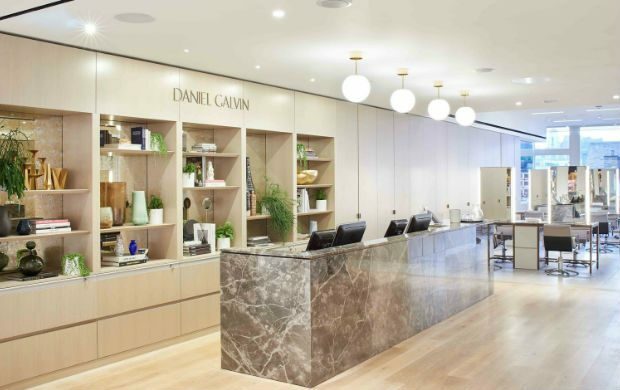 The Daniel Galvin salon on Selfridges’ third floor is a vast, white room flooded with light from large windows overlooking Oxford St. Furnishings are pleasingly retro space age/60s glam – pale leather upholstery, shiny curved white counters, quite a bit of grey and white marble. Mid-week, mid-afternoon the place is bustling, and from start to finish the experience professional and enjoyable. You feel in the safest of hands here. Anna Short, the knowledgeable and talented head of colour, talks me through the options, and the thinking behind Instant Highlights: by applying heat to the dye-painted sections of hair, the lightening process is reduced to 15 minutes. This has the dual benefits of reducing damage (a perennial concern for the bleach-reliant among us) and making the whole procedure (washing out the die, applying toner, blowing dry) one you can get done in your lunch hour. I’m sold, though not convinced by her suggestion that I should go for auburn highlights, being too unoriginally wedded to my ombre mishmash of natural (if greying) brown and sun-damaged fake blonde (and put like that, why wouldn’t I be?). One of Anna’s colleagues paints and foils the highlights in the usual way, then applies a heated wand – which looks, to the untrained eye, like hair straighteners – for a minute or so to each section. This is where the fun happens. Another minion holds up a mirror behind my head and peels away the bits of foil so I can see how quickly, convincingly (and, it must be said, beautifully) each lock has been lightened. I should add here that an enormous bonus for me is that having recently developed an allergy to hair dye my last few grey-covering missions (both in salon and at home – money spent seems to make nary a jot of difference) have resulted in an itchy, oozing scalp. 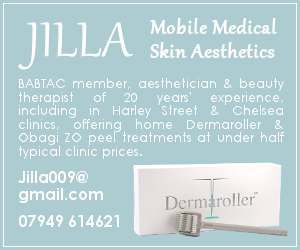 Neither fun nor attractive, but a necessary evil if I don’t want to embrace my natural silver – and I really don’t. I’ve braced myself for more of the same today, but – hurrah! – Instant Highlights are blissfully pain-free. It’s probably simply because the dye never comes into contact with my scalp, but with the various steps involved (dye, heat, toner) I didn’t expect to get off so lightly. Fantastic, and more subtle than I anticipated. Post blow dry, my hair swings bouncily around my shoulders, with lovely, natural-looking blonde-ish streaks that gleam under the salon’s bright lights. A random stranger says ‘nice hair love’ as I walk back through Soho. And I don’t have the slightest urge to scratch my scalp. Ten out of ten.